The Exiled Realm of Arborea (officially abbreviated as TERA) is a 3D fantasy themed MMORPG developed by Bluehole Studio. The game was released in South Korea on January 25, 2011. This game was ranked top 10 Korean MMORPG in Korea in 2014. Millions of players like to play it. 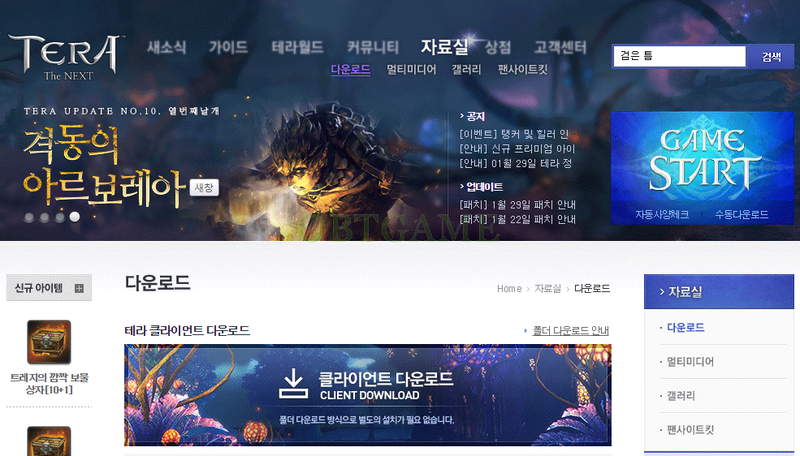 The publisher for TERA in South Korea, Hangame shuted down all non-mobile games within the next year, obviously, Tera had been included, however, as the game is being picked up by Nexon. Free to play. Prefer to compatiable with Internet Exploer browser, so plese don't use other browser to download the client, otherwise, you can't process. Allow to download ActiveX for IE. Got the nexon account in less than an hour, changing the passwords to my new Chinese mail service and Korean account was a bit complicated, but I got through with some google translate and knowledge of Japanese. A good seller, fast delivery (less than 2 hours) to deliver the product. Recommend everyone to buy, i will come back to buy more games. Great seller. Quick and good price. Will buy from again for future games.